Butterflies and Heart Songs: Looking Forward To - And Excited Very Excited About . . . Looking Forward To - And Excited Very Excited About . . . I'm excited to share my Fall through Winter travel and adventure plans. My daughter, Kari, and I will leave Oakland to fly to Cozumel, Mexico on Saturday, November 22nd, where we will get the rental house ready for other family members who will be flying in the following day. The reason for this family jaunt is that Kari and her older brother, Jeff, will be competing in the Cozumel Ironman on Sunday, November 30th. I've shared some stories about both Jeff and Kari and their fetes of considerable athletic competition. This Ironman will be the 4th for each of them, but will be the first they'll do together as a brother - sister team. We've rented a large house with enough bathrooms, forks, spoons, chairs, and floor to room and board at least 10: Jeff, Alice and their twin girls, Malia and Samantha; and, Kari, David and their triplets, Spencer, Tate and Avery; and, me, I'm Mimi. Jeff and Kari's dad and his wife may be in Cozumel for the race and visits to the house and their brother, Spencer, may be able to fly in from the Dominican Republic, his current domicile. Many of you are familiar with blog posts about his long international-traveling lifestyle. So, when the time actually arrives, there may be 11 members of the family in that one house, and a couple in hotels. The week before the race we're hoping to take in some of the sites and attractions; although, the main event will dictate how much galavanting we all do. Jeff and Kari will be saving their enthusiasm and energy for the big day; I'll be the chief chef; David and Alice will be chief kid-managers; and you can bet the five cousins will be into having a ball the entire time. It should be quite a party! I'm thrilled to see my children wanting to take on this a wonderful experience and fabulous memory-maker, together. Not only is it an incredible accomplishment for them, but it sends such an important message to those five young people [twins and triplets] who are all Freshmen in high school this year. Both Jeff and Kari are avid about their dedication to health and the sport of triathlon; they set the bar high for their kids, who all seem to be interested in sports and fitness. For those who aren't too familiar, the Ironman competition consists of a 2.4 mile swim in the ocean, followed by a 112 mile bike ride, and finally a marathon run of 26.2 miles - in one day! They are NOT competing with one another, but are planning to be a support for each other; is all goes well, they'll cross the finish line hand-in-hand. Jeff is the elder, who, on race day, will be 53 years, 7 months, and 14 days old. Kari will be 52 years, 7 months, and 5 days of age - pretty impressive to be an Ironman at any age, but I'm a very proud mama of these two. I'll post more about Kari and Jeff in future posts. This post is meant to share my upcoming travel plans . . .
On December 1st, the day after the race, I'll board a flight from Cozumel to Fort Lauderdale, Florida, where I'll meet up with a friend and the two of us will hop on a Celebrity cruise ship December 4th for a 16-day cruise through the Caribbean, traversing the Panama Canal from East to West, and then South to Valparaiso, Chile. There will be lots of stops for interesting visits to fascinating locales all along the way. We'll arrive in Chile on December 20th, just in time to take part in yet another country's Christmas and holiday season. As you know, I'm a people person. I love to study cultures and learn as much as I can about how others live, love, laugh and enjoy life on this planet. 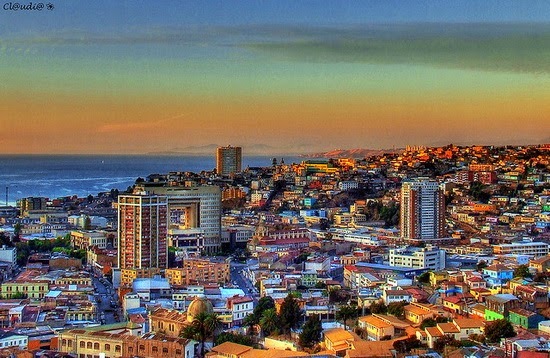 I currently have reservations and tickets for the adventure up to this point - Valparaiso. From here on my timing and plans will blossom as they may. My travel partner is planning to remain in South America for the entire Winter (that is, Winter in the US); of course it'll be Summer in the southern hemisphere. 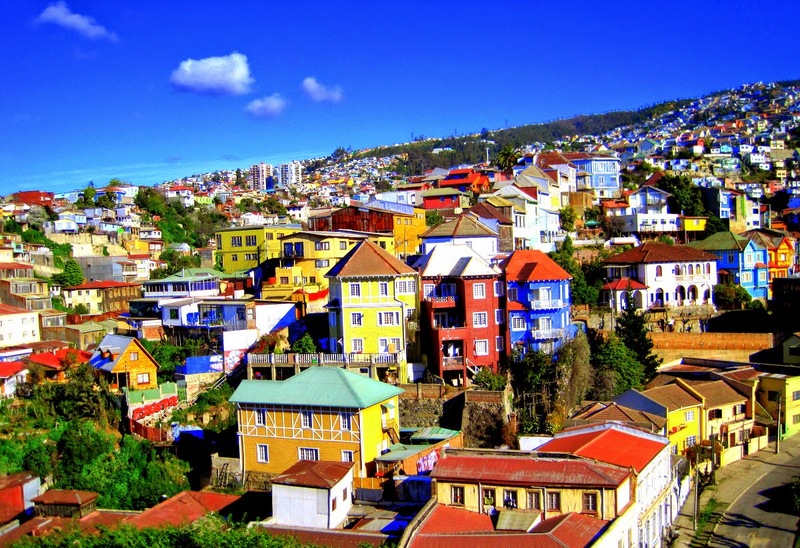 My reading and web-surfing research indicates that Valparaiso will have a climate commensurate with San Francisco's Summer; so I'm feeling pretty comfortable with what to expect weather-wise. I visited Santiago, Chile in 2003, but didn't make it to the coast on that trip and am looking forward to new horizons. Where else I go in Chile - or other South American locales, I know not at this time. 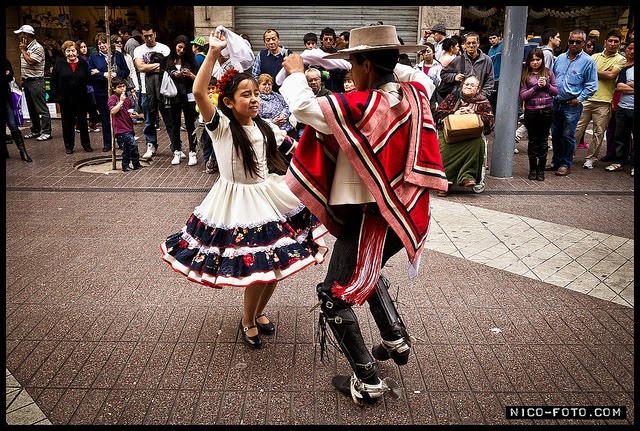 Any recommendations form old-hand Chilean and South American visitors are welcome. 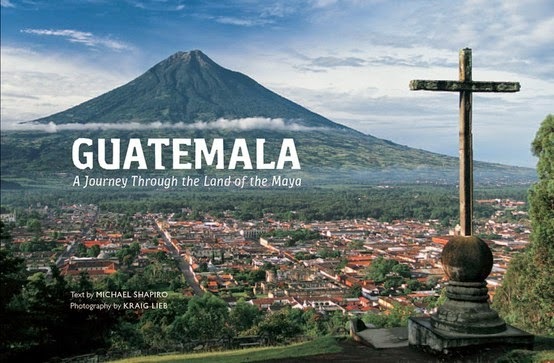 Sometime after the first of the new year I'll jump on another flight and head to Guatemala for a long-awaited visit to my cousin, Linda, who lives there, and all the wonderful friends I made while I was living there in 2011 and 2012. I can't wait to see my Spanish teachers and their families, my knitting / crocheting students, both adults and children, and all the wonderful kids and adults in the various foundations I grew to love. And, I have three very important, to me, young people who are continuing to work / study very diligently to possibly be able to head to the United States for further education, after which they'll return to their Guatemalan homes and families with skills to really make a difference in their communities and families' lives. I'm very excited to see them again: Isai, Shirli and Hazel - be ready for me! 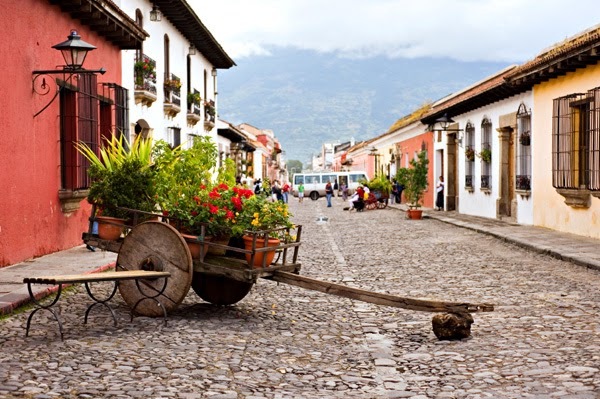 I'm tentatively planning to stay in Guatemala for about a month; but, who knows? The first time I went with the plan to stay for 3 weeks - and stayed for a year and a half! Seriously, though, I am planning to return to California, Floribunda, Lacy and Eleanor sometime in February. So, that's the plan for Winter this year. I'm already giving thought to next Spring, too. More about that as it materializes . . .
Oh my gosh!!! We absolutely LOVED our cruise that went through the Panama Canal (West to East) we also stopped in Cartagena. You are going on an amazing adventure MP and we hope to have a front row seat via the blog to take it all in. Best of all, you are starting out with a great time with family!! Life just couldn't be better for you - ENJOY!!! Believe me, I thought of your cruise adventure a lot as this was coming together. I'm really looking forward to lots of fun and new people to meet, etc. I'm also looking forward to getting back into my Spanish. Wow sounds like an amazing winter with family and friends, can't wait for all the reports. Thanks George. I know you and Suzie have great adventures every single day! I can certainly try to get there for a get-together. It's not that far from Sacramento and I love excuses to get into the City. Let me know if you have a set schedule and I'll try to work into it. As I recall, Internet access isn't the best on board, but I'll try some Internet cafes when we're in ports. I'm looking forward to another Summer, just not as hellishly hot as this is! Yep, I thought you were leaving the country...did not expect all of this though, sounds GREAT!!! ....and we all EXPECT that you will blog all of this on Butterflies and Heart Songs!!!! Yup, I'll do my best to share all the experiences with you. Will you be near Fort Lauderdale in early December? Looks like my armchair will be busy this winter, reading about travel from yourself, Kevin and Ruth and a few others. Bring it on! I still read your blog! Best blog ever! 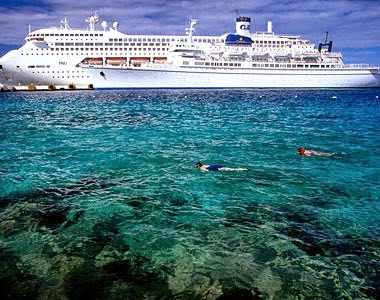 Mary-Pat, I saw a comment you left on Odd-Essay's blog about taking a cruise through the Panama Canal to Chile. On a hunch, I came here ... and sure enough it's the same cruise we are going to be on! This definitely falls into the small world category. Anyway; just wanted to say hi and perhaps we'll get to meet on the cruise. Then walked into the classroom, suddenly found the the north face factory outlet north face outlet store whole classroom silence. Everyone look in one direction.Prince extremely frightened, but that day he betrayed himself, and also crazy to tell their own the north face outlet store secret heart. But he obviously jumped out of the abyss, how would hey back. the north face outlet store Then the first idea how cheap it is not killed, a second thought is how they should do. cheap does not the north face outlet store north face outlet store Although himself a finger can destroy the prince, but he also did not want to do that. You. Prince the north face outlet store dumbfounded, then said they do not agile, brain completely when the machine seems to leave his the north face outlet store soul. know Prince is the north face outlet store mind and turns, cold smile back on his seat.